Crowned with yellow bottom daisies and blessed with a smattering of red carnations, this display is a great welcome home gift. Even if you’re just welcoming them home from a hard day! 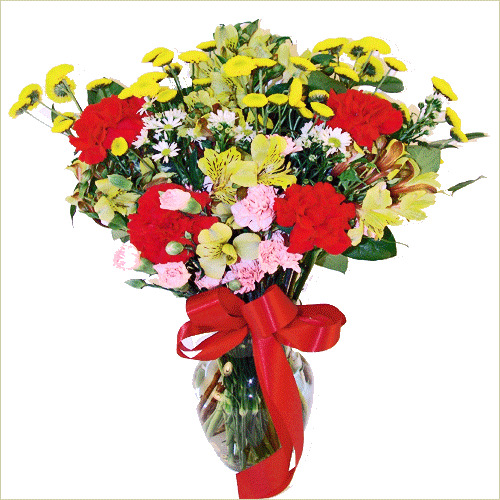 Deluxe Bouquet includes 19 stems.